Spread the Word is London’s writer development agency, which means we are here to help London’s writers make their mark – on the page, the screen and in the world. We do this by kick starting the careers of London’s best new writers, and energetically campaigning to ensure that publishing truly reflects the diversity of the city. We support the creative and professional development of writing talent, by engaging those already interested in literature and those who will be, and by advocating on behalf of both. Spread the Word is committed, collaborative and adventurous. 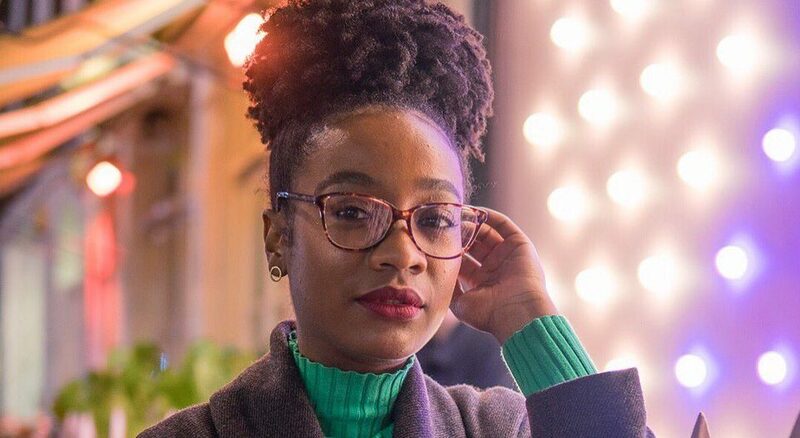 • More diverse writers being published by publishing houses and other media. We have a national and internationally recognised expertise and track record in the development and management of schemes for diverse writers: from the creation and management of The Complete Works (2008-10) a mentoring scheme for advanced Black and Asian poets, which provoked a cultural shift in the dynamics and diversity of the British poetry scene; to Encompass a professional development for writers from marginalised backgrounds; Flight (2008 and 2012) mentoring and professional development schemes for writers under 25 and our current Flight 1000 Associate scheme, funded by the Esmée Fairbairn Foundation, providing training and support for writers from diverse backgrounds to enter the publishing industry. We have led the literature and publishing sectors in commissioning research into diversity that is both ground breaking and change making. Our Free Verse Report (2005) looked at why so few Black and Asian poets had been published in the UK in the previous ten years and led to the creation of The Complete Works. Our Writing the Future Report (2015) looked at Black and Asian authors and publishers in the UK market place and has provided the evidence base for a range of initiatives (for e.g. : Penguin Random House’s WriteNow programme) taking place across the publishing industry. – Bernadine Evaristo MBE FRSL FRSA, Author, Professor of Creative Writing at Brunel University and Spread the Word co-founder. 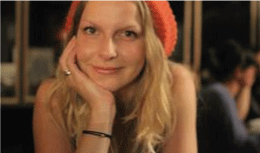 Ruth Harrison joined Spread the Word in 2015. Her working life has been in the field of the arts and particularly in literature. She has been Director of Apples and Snakes, a literature development officer and programme manager at The Reading Agency. She is passionate about not only widening people’s engagement with writers and writing but also in developing writing talent. Widening participation and engagement alongside developing and building awareness of new voices has been core to her work. Ruth has previously been a trustee of Little Green Pig – a charity working to inspire children and young people to get creative with writing, sits on the steering committee for The Literary Platform’s Jerwood Fiction Uncovered Prize and is part of the team developing EmpathyLab – a start-up using words and stories to build young people’s empathy skills. At Spread the Word, Ruth is responsible for leading the company artistically and strategically and working with our highly skilled and dedicated team to make a difference to and for writers and their audiences in London. 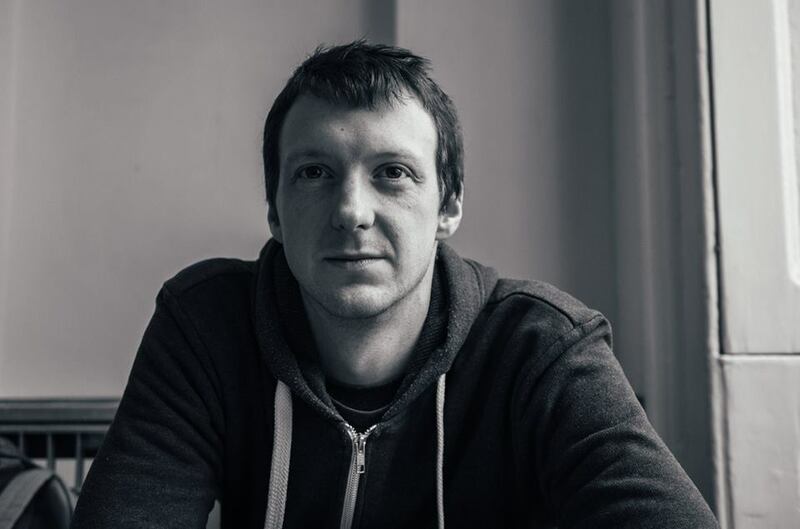 Tom is a freelance producer and project manager specialising in poetry and spoken word programmes. Having worked at the Poetry Society for several years, he has recently been engaged on programmes for Forward Arts Foundation, Penned in the Margins, the Centre for Literacy in Primary Education, Poetry by Heart, Out-Spoken and Out-Spoken Press. He is producing work by poets Francesca Beard, Joelle Taylor, Eleanor Penny, Mark Grist and Anthony Anaxagorou. Bobby Nayyar studied French and Italian at Cambridge University. In 2005, he became the first recipient of an Arts Council England bursary to train in publishing at Faber and Faber. He went on to join the marketing department at Little, Brown Book Group, rising to manage campaigns for the Virago and Abacus imprints. In 2009, he founded his own publishing house, Limehouse Books. In 2011, he took on the role of Consultant Development Manager for the Diversity in Publishing Network, helping to establish the Publishing Equalities Charter and transition of Dipnet from Booktrust to City University London, as Equality in Publishing (Equip). More recently he has managed Wasafiri Magazine’s digital presence and taught creative writing in schools in partnership with Eastside Educational Trust and First Story. At Spread the Word, Laura manages the organisation’s communications and oversees a variety of projects. She supports writers, organisations and artists get their work into the world / develop meaningful and effervescent projects and writing activity. Laura has worked with a diverse range of audiences within the arts. After studying English Literature at Cardiff University, she gained an MA in Writing for Stage and Broadcast Media at Royal Central School of Speech and Drama. She has produced live art, comedy and theatre and storytelling shows in London and at the Edinburgh Festival. She has also worked for Arts Award and Artsmark, The National Literacy Trust, as a local authority arts officer, a social care worker working with young asylum seekers and as a youth worker. She is passionate about enabling access to high quality writing opportunities and nurturing writing and creative talent. Laura joined Spread the Word in 2013. She has judged writing prizes including the UCL Publishers’ Prize and Warwick University young people’s Shakespeare writing competition, written forewords and edited poetry and short story anthologies. In her spare time she pursues her own fiction, script and poetry writing and loves comedy. Rishi Dastidar is a copywriter, brand strategist and poet. Currently head of verbal identity at strategic branding agency BrandPie, he has worked for a wide variety of brands during his career, including O2, EY and EDF Energy. His poetry has been published by the Financial Times, BBC Local Radio, Tate Modern, the Southbank Centre, And Other Poems and Poems in Which, amongst many others. A fellow of The Complete Works II, the Arts Council England-funded development programme for Black and Asian poets in the UK, his debut collection Ticker-tape will be published by Nine Arches Press in March 2017. Sandeep is the Director of Nottingham City of Literature. She is also Literary Consultant at Slam Films. She works with Slam’s creative team on all literary acquisitions and serves as the company’s primary liaison with the publishing industry, and in that capacity identifies book-to-film/TV opportunities. Sandeep was until recently Director of The Space – a commissioning agency supporting greater digital access to the arts co-founded by Arts Council England and the BBC – and launched their major partnership initiatives, international prizes and Open commissioning schemes, developing artists from a range of backgrounds to engage with digital media and technology. A librarian by training, she worked in public libraries for ten years and was formerly Head of Partnerships at The Reading Agency. Here she led a powerful partnership consortium transforming the way UK publishers and the public library network collaborated, taking a leading role in re-imagining the library experience for a digital age. She was a judge for the Fiction Uncovered Prize in 2013, named The Bookseller’s Rising Star in 2012, awarded a Fellowship from the Clore Cultural Leadership Programme in 2013. Mike Clarke is director of libraries and archives for tri-borough – three central London boroughs that have innovatively got together to share services: the London Borough of Hammersmith and Fulham, Royal Borough of Kensington and Chelsea and City of Westminster. Together they have 1 million books, 21 libraries and three archive services, serving over half a million residents and almost 5 million visitors to their libraries each year. Mike is a chartered librarian, executive committee member of the Association of London Chief Librarians and its past president. Previously he has worked in local government in Camden, Merton, Leicester and Manchester and also at the BBC and Arts Council England and was director of the London Libraries Development Agency. He is incredibly excited about the transformational power of literature and reading and the way public libraries and writers can interact to develop new audiences and engage with a wide range of communities and readers. Katie Roden is a publishing, marketing and content strategy consultant. She has a 24-year trade publishing background, including 11 years as Director of Consumer Education at Hachette UK and, as Publisher at Guardian Books, creating the Guardian Shorts ebook list and helping form the Guardian Faber imprint. In recent years she has worked on publishing ideas, marketing campaigns and communication strategies for some of the UK’s biggest publishers and author brands, from military fiction to secondary education. Katie is the co-founder of book design blog Fixabook and is a freelance consultant for the Seven League digital agency. Sophie Rochester has worked in publishing since 1996. She founded The Literary Platform in 2009, initially as a free online resource dedicated to exploring new platforms for literature, and later as a specialist consultancy working with writers, literary agents, publishers and literary organisations. In 2010 she launched, supported by Arts Council England, the National Lottery funded Fiction Uncovered – which became the Jerwood Fiction Uncovered Prize – dedicated to celebrating the work of British fiction writers. Previously she worked in communications at publishers Routledge, 4th Estate and Jonathan Cape, Random House. At Colman Getty, she was Associate Director and worked on the Man Booker Prizes, The Hay Festival, The Poetry Archive, launched by Poet Laureate, Andrew Motion, and many other literary projects. She has been a speaker on publishing at TOC New York, the Frankfurt Book Fair, Bologna Book Fair, Editech Milan, British Council Crossing the River conferences in Beijing, Shanghai and Hong Kong; Electric Bookshop Edinburgh, FutureBook Innovation Workshop, London Art Book Fair and Alphaville at Whitechapel Gallery. She is a visiting lecturer at the London College of Communications ‘MA in Publishing’, Goldsmiths University ‘BA in English and Media’ and UEA’s ‘MA in Creative Writing’. Kate Noakes is retired Chartered Accountant living in London. She spent her 35 year career with the Big Four accounting firms, specialising in corporate international tax advisory work. Her clients were some of the world’s largest multi-nationals. A widely published poet and elected member of the Welsh Academy of Letters, she acts as the finance trustee. She has degrees in Geography, and English Literature from Reading University and an MPhil in Creative Writing from the University of South Wales. Her website, www. boomslangpoetry.blogspot.com provides details on her books, publications, and writing and coaching projects and is archived by the National Library of Wales. Samantha is the UKI HR Director at Accenture providing a comprehensive range of HR and Recruitment services across all business areas. Her HR Business Partner experience is principally in Professional Services and she has skills in managing complex employee relations projects, designing diversity strategies, devising talent plans, developing policies, coaching at Board level and running major change programmes. In addition to her role as HR Director, since October 2012 she has also been the Accenture Teach First Community sponsor, dedicating her time and efforts to supporting the Community in its work to address educational disadvantage. Aimée Felone is co-founder of newly launched Knights Of – a commercial children’s publisher whose main focus is hiring diversely and commissioning writers and illustrators from a diverse range of backgrounds. She has always been a supportive and engaged voice within the Industry and has worked tirelessly to promote inclusivity and diversity. 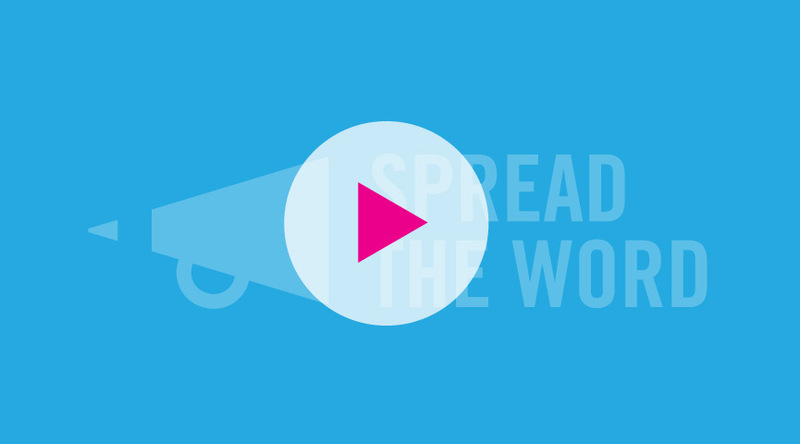 Interested in your organisation partnering with Spread the Word? Find out more about Spread the Word job and volunteering vacancies. We rely on donations to allow us to support new writers and bring these stories to life. Join our membership scheme - The London Writers Network for £25 per year.